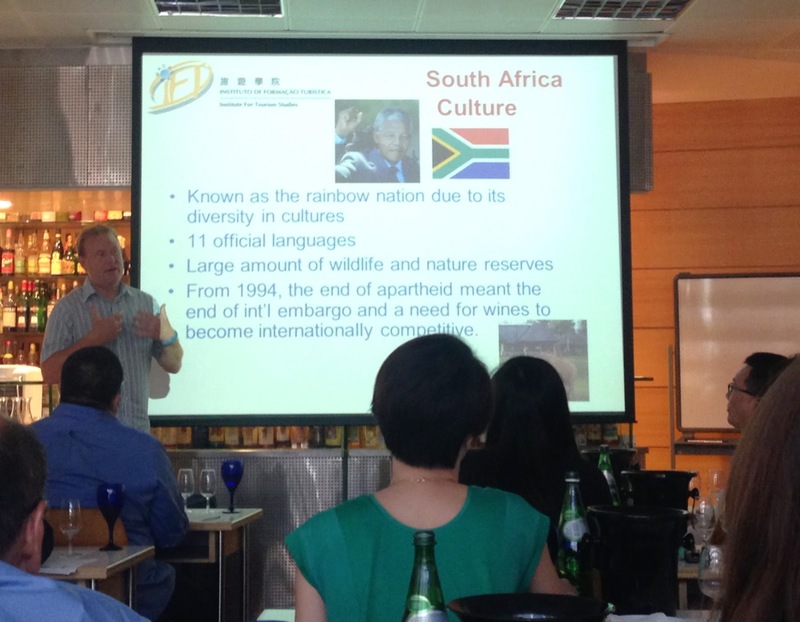 The last quarter of the year is always busy on the Hong Kong wine scene. 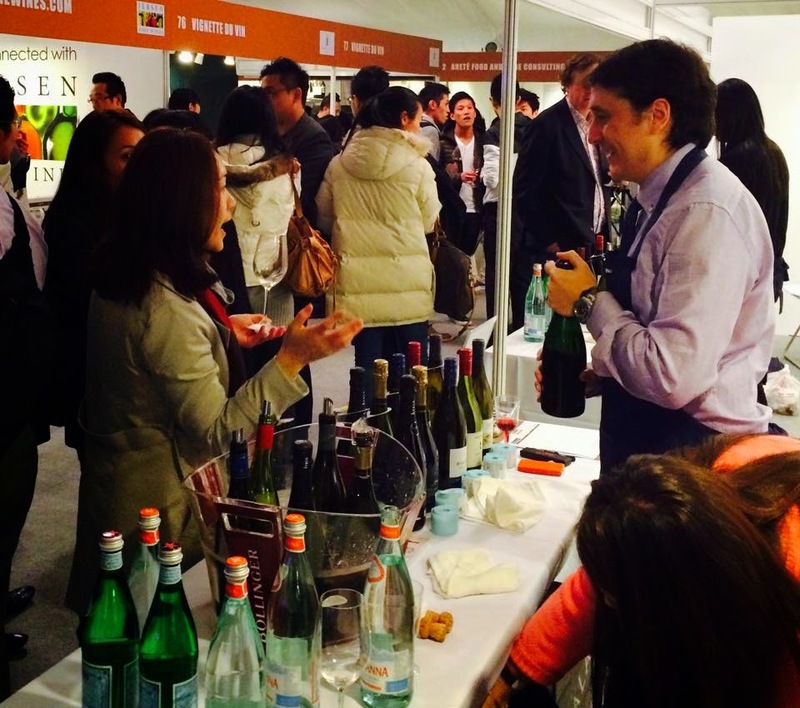 In addition to the mega events like Wine & Dine and the Hong Kong International Wine & Spirits Fair, both in November, there are James Suckling’s Great Wines of the World and Great Wines of Italy, Wine HK and more. 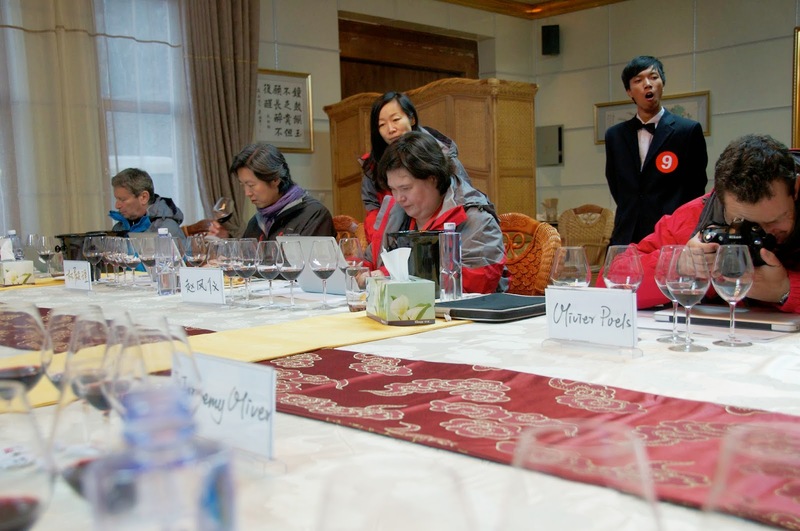 For a fee, wine lovers can taste hundreds of wines, among them many award-winners, some available in Hong Kong, some not, and some poured by the winemakers or owners themselves. 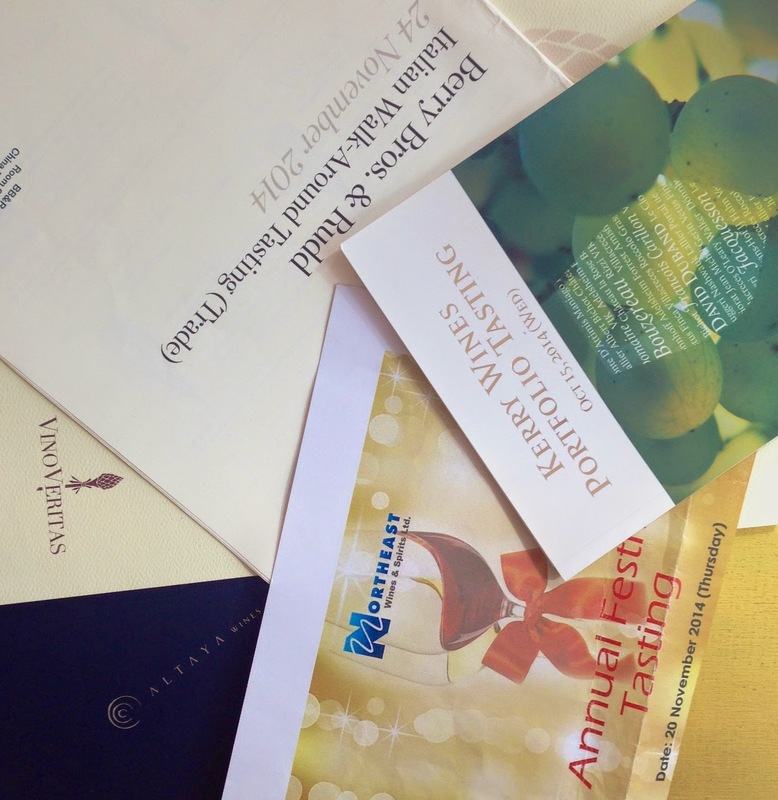 But amid all these high profile events it's easy to lose sight of local importers’ annual portfolio tastings. In October and November alone there were at least six such tastings: Wellspring, Kerry Wines, Armit Wines, Northeast, Altaya and BB&R's Italian portfolio. Usually the afternoon session is reserved for the media and trade while the evening is open to the public. 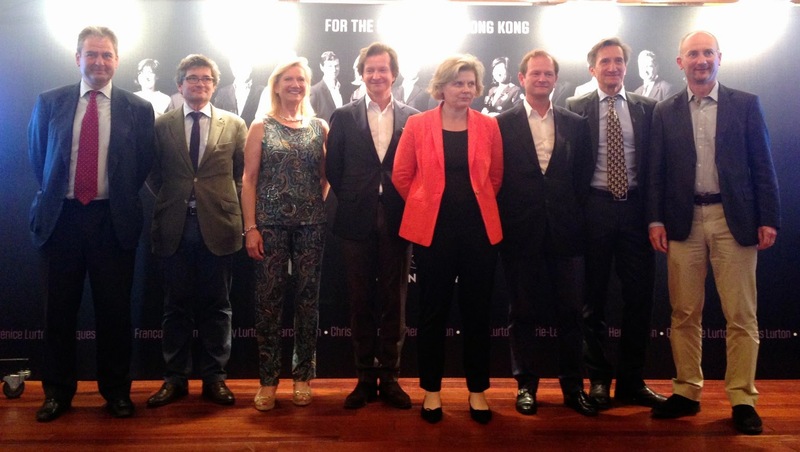 And yes, for a small fee, wine lovers can taste a wide range of wines, some award-winning and some poured by the winemakers or owners themselves, and all the wines tasted are available, or soon to be available, in Hong Kong. 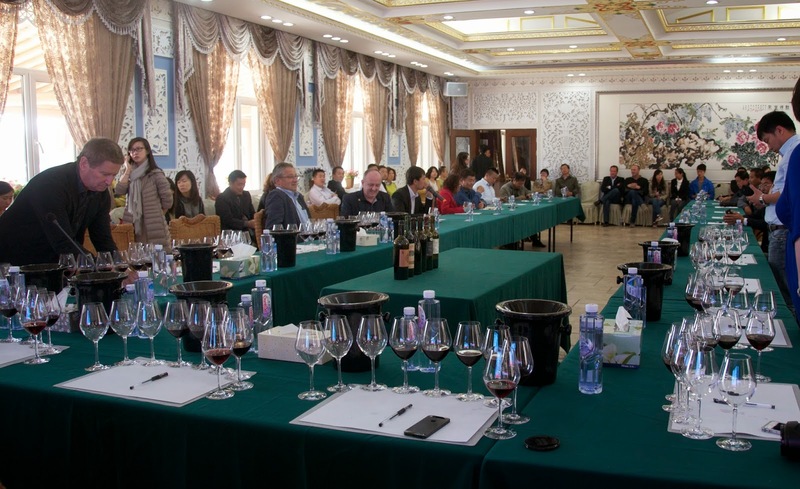 Mega wine events and high profile wine tastings are fun to go to, but portfolio tastings are often more practical for regular drinkers as they let you identify the strengths of each importer and the wines they carry, so you know where to get what wines for which occasion. And don’t think that most importers carry pretty much the same things; you’ll be surprised by the diversity of some and the specialities of others. Plus of course there are both big and boutique importers who stock very different styles and ranges. Some portfolio tastings also have winery representatives present who are happy to answer any questions related to their wines. 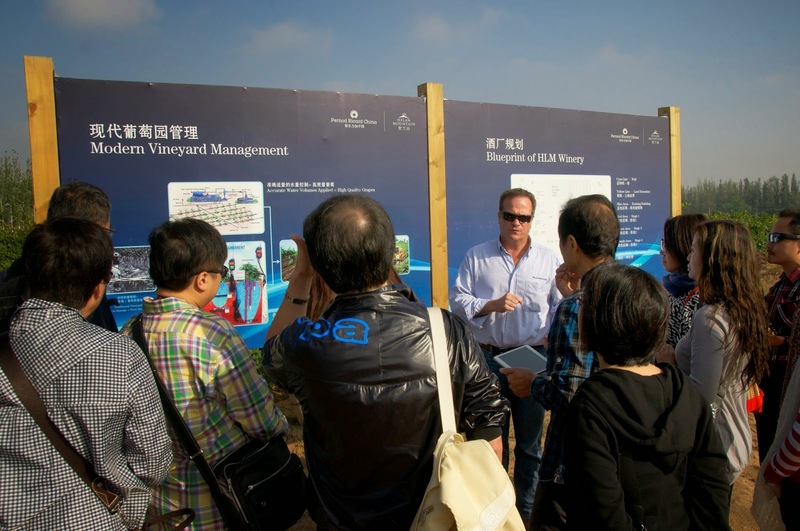 Even when there are no wineries representatives, the whole team of importer staff is always on hand to assist. Because portfolio tastings are comparatively less crowded, you will also get more attention from the people behind the counter, a plus if you have a lot of questions. Actually, not all annual portfolio tastings happen in Q4. There are some in other months, such as VinoVeritas in March, Continental Wines in May and Wine High Club in August. 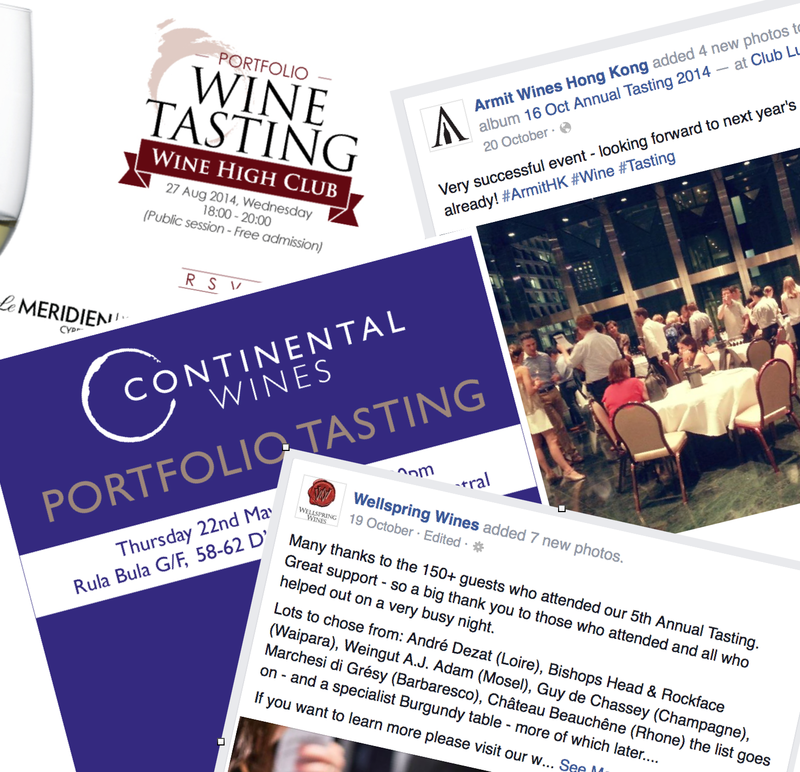 I’m sure there are a lot more that I haven’t mentioned here but keep an eye on the Wine Times HK Event page, or various Facebook pages: Hong Kong Wine Lovers, Hong Kong Wine & Food and HK Wine Fans. Of course the most direct way is to get onto the mailing lists of importers. Happy New Year and Happy tasting! Altaya: Probably the biggest such event with some 70 wineries present. Heavily French biased but not short of famous names. Consumers were queuing outside one hour before it started! 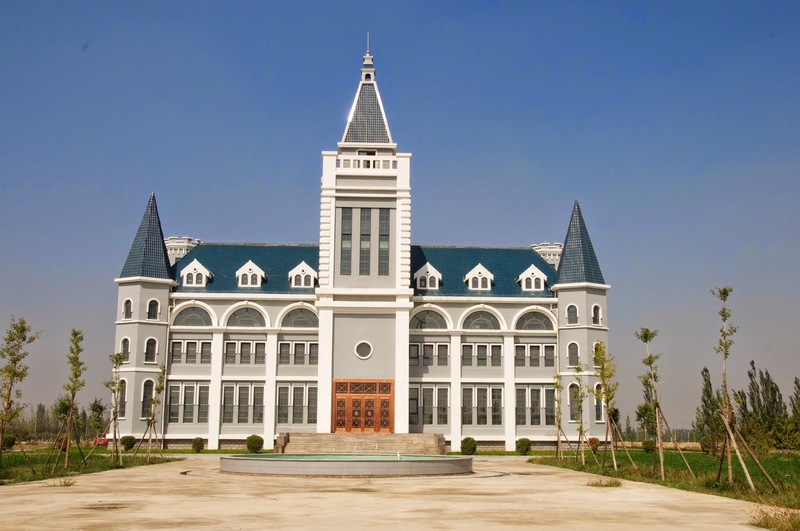 Armit Wines: A decent collection skewed towards the Old World. There were both big and small names and some from off the beaten track too. BB&R Italian wine tasting: If you are a fan of small Italian wine producers, you'll love this. All wines were carefully selected by David Berry Green, BBR's Italian wine buyer. Kerry Wines: Another big event featuring about 50 wineries mostly from the Old World (France, Italy and Spain). Northeast: The most lively and cosy event with wines mainly from the New World and a range of craft beer and cider. Red Mill: Mainly Lebanese wine, shown alongside Northeast’s. If you want something different, this is it. Definitely worth trying. VinoVeritas: Italian wine specialist. This tasting was memorable because it was held at Colour Living, a lifestyle store featuring stylish kitchen and bathroom furnishings. Wellspring: A French dominated portfolio, but don’t be put off as its Bordeaux and Burgundy ranges are really good value. Look our for their Italian and German producers. 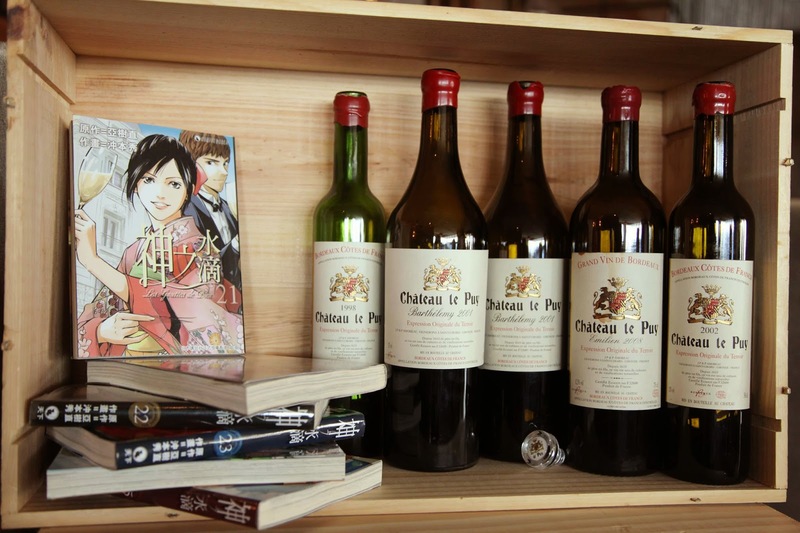 Wine High Club: A fine wine merchant with a focus on France. Their sparklings and champagnes are definitely worth a try. 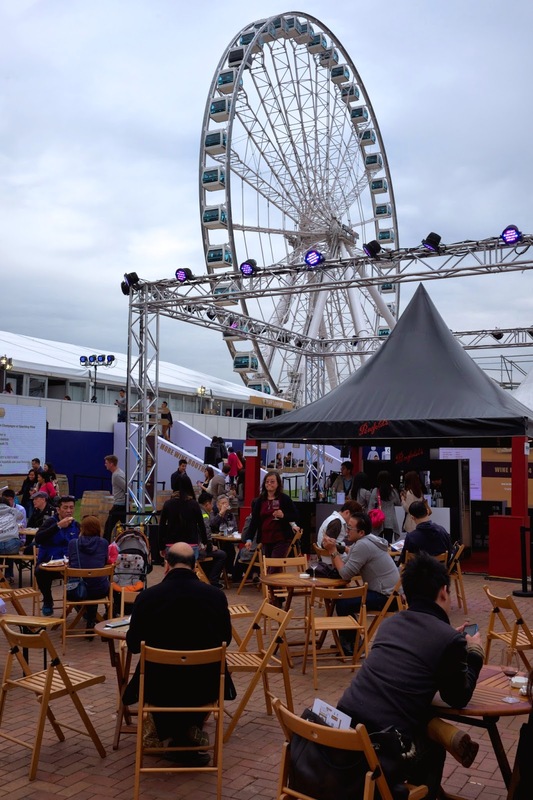 What a great way for wine lovers to end the year: a wine fair in balmy weather under the new Ferris wheel on the Central Harbourfront. 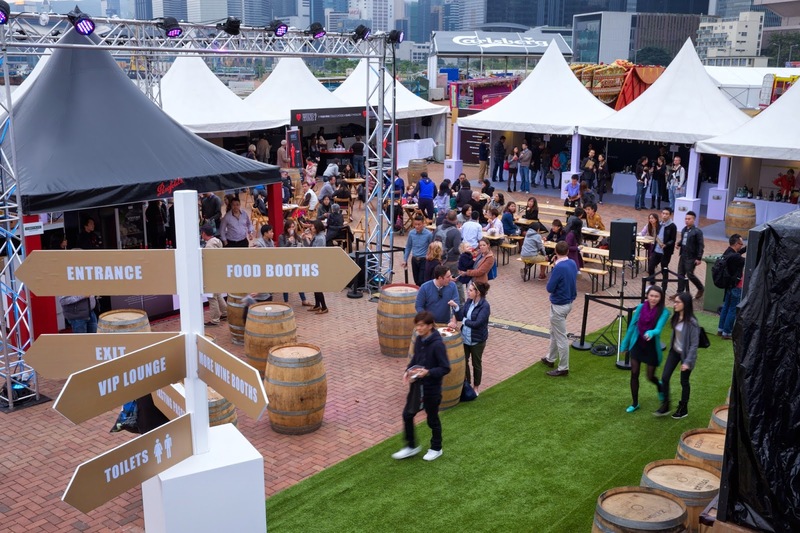 Compared to Wine & Dine, where visitors were mainly interested in food—long queues at the food counters but not at the wine booths—Wine HK was certainly more wine focused. Yet it managed to avoid the stiffness and time constraints of some wine tasting events. Consumers wandered around the semi-outdoor venue and tasted wine at their own pace, pausing for a bite at one of the eight food booths serving round-the-globe delicacies from yakitori chicken to steak sandwiches, before tasting more wine, all the while listening to festive music—although I have to admit the music bit could have been improved. 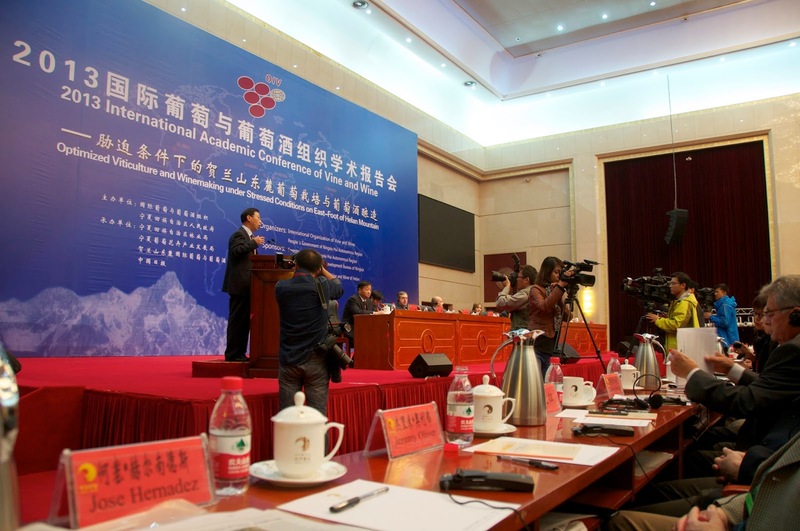 Over 800 wines were presented by 33 companies. 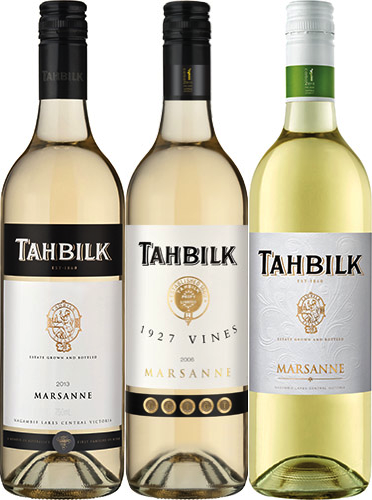 Some importers such as Links Concept, Jebsen, Montrose and Victoria Wines featured a range of wines covering several countries while others, including Chilled Wines, Red Mill, Schmidt Vinothek and wine ‘n’ things, focused only on one country or a couple of brands. Most visitors were clearly wine lovers and keen to know more about the wine they were tasting. There was also a VIP lounge furnished by Timothy Oulton where visitors could relax and enjoy some more exclusive wines. 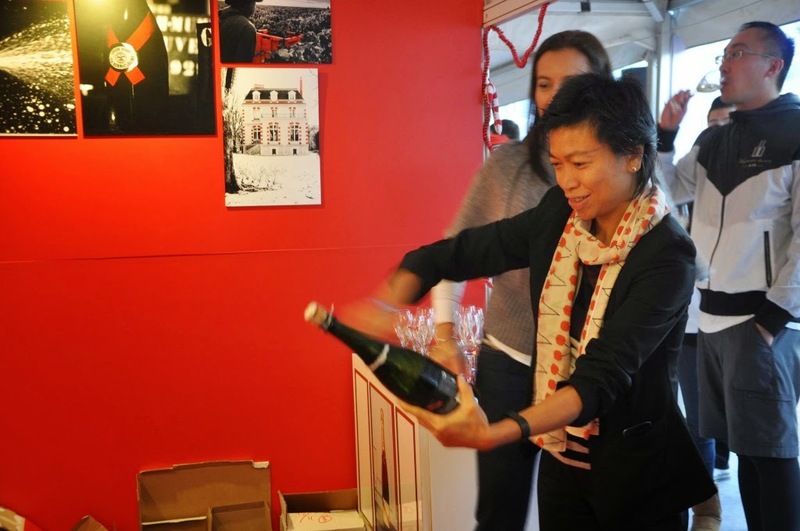 Wine Times HK and Mumm, the official media and champagne partners respectively, ran a sabrage challenge where visitors learnt the trick of how to open a bottle of champagne with a blade. It attracted a crowd of eager triers, mostly ladies (somewhat surprisingly) including myself, surrounded by male-dominated onlookers. The best part of this challenge was drinking the champagne afterwards—12 bottles on Saturday! 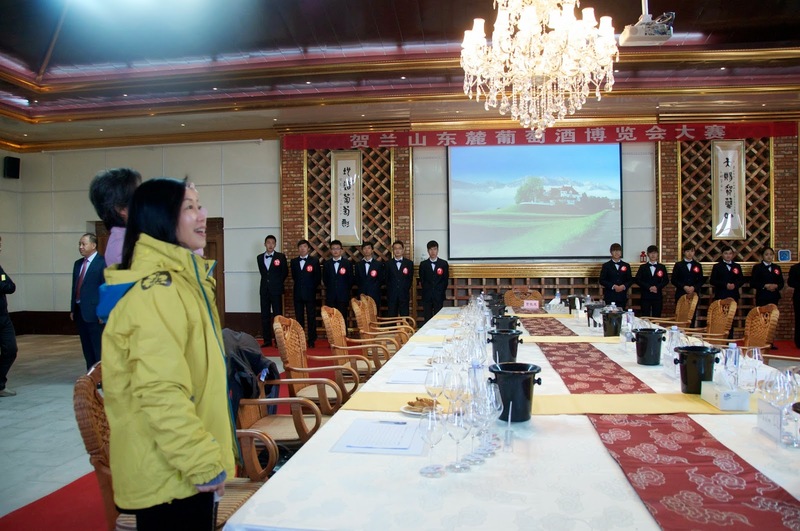 In addition, there was a Tasting Championship and Information wine sessions where visitors could do blind tastings and learn more about wine in general. Visitors could also vote for their favourite wines. What I liked about Wine HK was the atmosphere. It was about lifestyle, fun, interaction and good quality wine without breaking the bank. 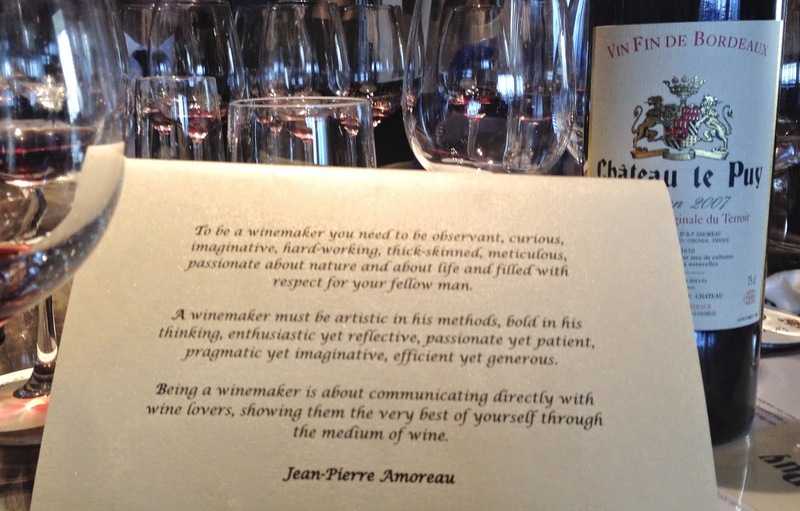 That is certainly in line with my own ideas about promoting wine culture—letting consumers enjoy and learn about wine without pressure. Even Henry Tang paid a visit on Sunday. Judging by his conversation with Jeremy Oliver, Australian wine writer, Mr Tang seemed to approve of the event. 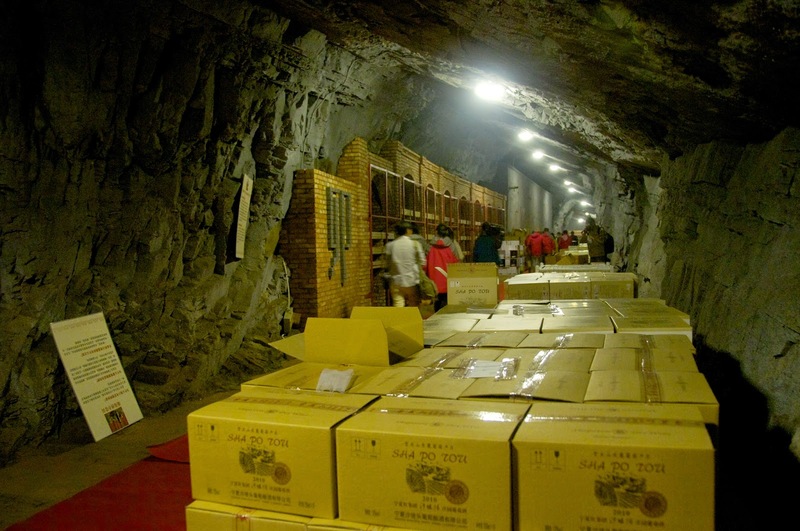 What’s more, all wines carried about a 20% discount off retail price and most were within the HK$100 to $300 bracket. 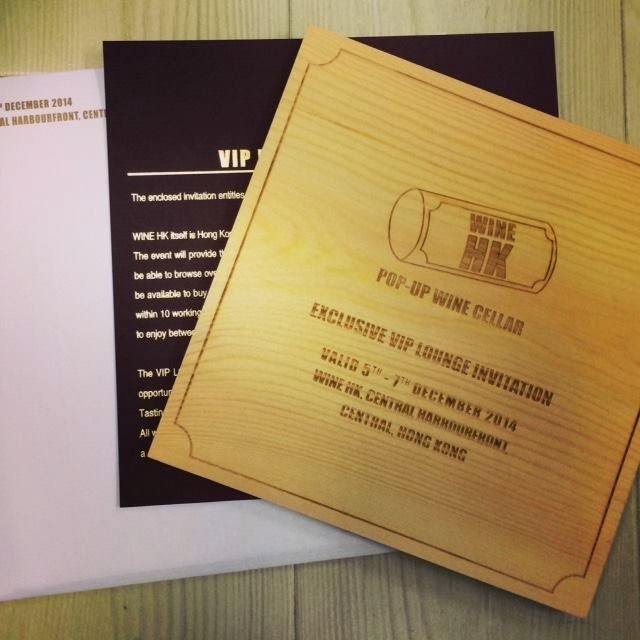 Even wines in the VIP Lounge were affordable with most between HK$300 and $500 per bottle. I particular liked the concept of consolidated shopping and delivery. 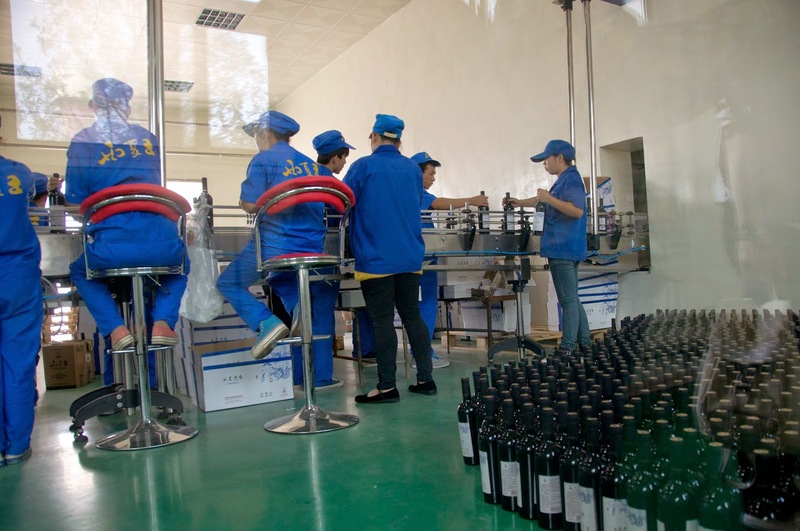 Instead of having to buy a minimum amount from one importer (usually about $1,200) in order to enjoy free delivery, visitors could pick as little as one wine from any given importer then pay a $90 delivery charge for a combined delivery of all their purchases. 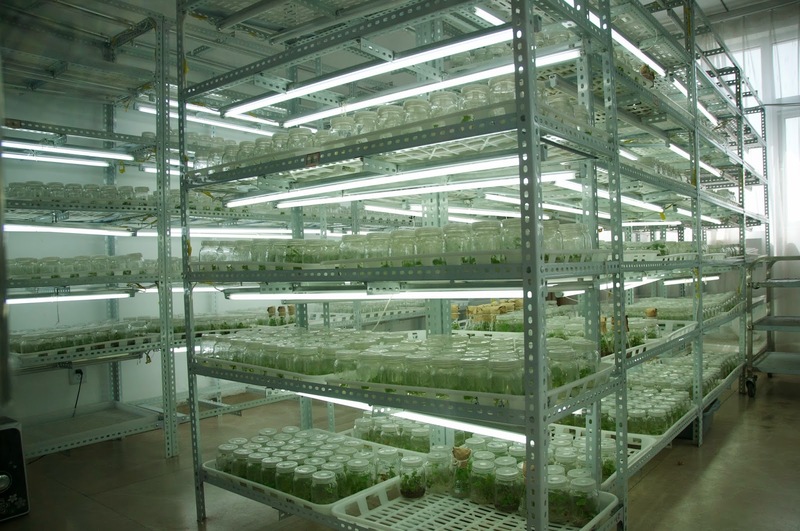 This encouraged purchases without jeopardising the sales of any importer. I bought over 30 wines from 12 importers! The organiser has yet to release the statistics but I could see there was quite a number of keen buyers. Understandably, there were a couple of things that I felt could be improved. The VIP lounge was by invitation only, but no one, including exhibitors, seemed to know how the system worked and who might got invited. I walked straight in unchallenged on the first evening, was refused entry the second day and was invited back in on the third! Actually, I’m not sure if a VIP Lounge is really necessary as the wines featured were mostly not much more expensive than those in the main area. 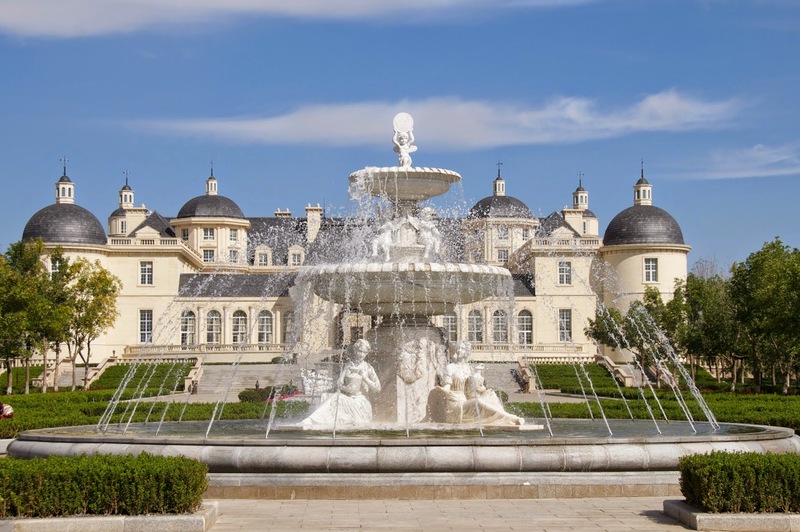 As an alternative, perhaps visitors could pay an extra fee at the door to gain entry so at least serious wine lovers and buyers without invitations would not miss out. The other minor point was the two storey layout. Some visitors, although a minority, thought the whole second storey was for VIPs only and were not aware there were a lot more general tasting booths up there. I myself directed quite a few consumers to go upstairs. Anyway, despite the flaws, Wine HK is definitely a worthwhile consumer event that I hope will become a signature over time. I’m looking forward to its third running. Note: According to the organiser's Facebook post on 23rd December, there were 3,500 customers who together bought 24,000 bottles from 89 booths, an increase of 300% from the previous year. There were delivery hiccups (I experienced it myself) but nevertheless an encouraging result. During my first trip to Canada in 2009 we visited Niagara Falls and naturally stopped by some wineries around the area. I was delighted to find that, apart from ice wine, they also make still red wine. I was excited to be able to taste some of the best Cabernet Franc in the world and was overjoyed when one winemaker allowed me to try his 2008 Cabernet Sauvignon from the barrel. 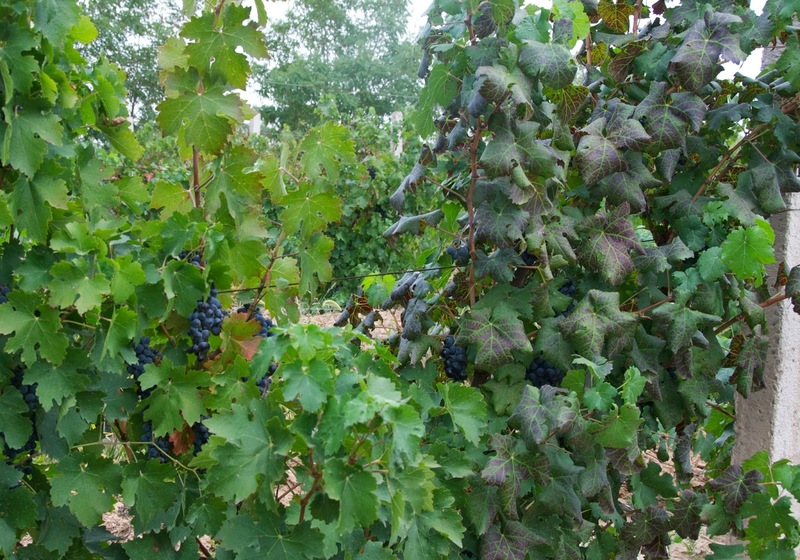 Ontario may be cold in winter but its warm summer allows cool climate red grapes to ripen gracefully. 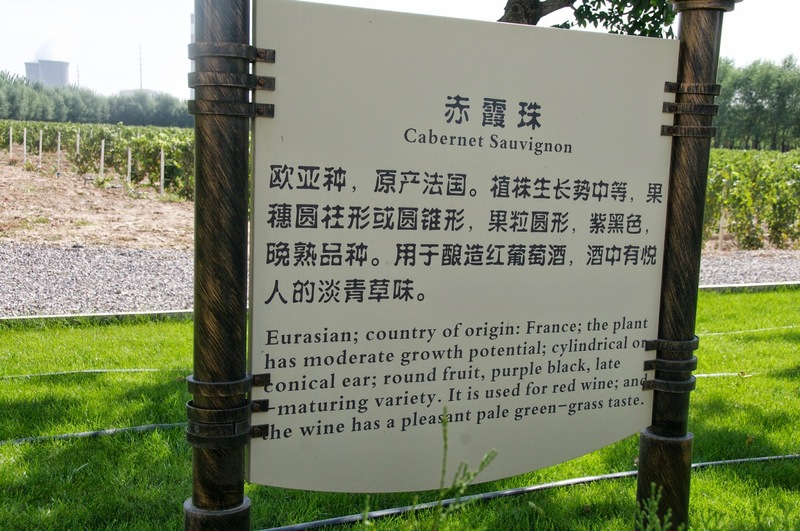 And if there is ample sunshine, as there was in 2008, it can even ripen Cabernet Sauvignon. After this discovery, I have begged my sister to bring me back a case of Canadian Cabernet Franc and Syrah every time she visits Canada. In the past year, the Consulate General of Canada has been promoting Canadian still wine in the market here in HK, with the assistance of my fellow educator friend Rebecca Leung. I finally made it to a tasting on 3rd November and found a few nice surprises. I was most impressed by Coyote’s Run, located in Ontario. Their barrel fermented Chardonnay, Red Paw Chardonnay 2012, was balanced and elegant, while the two Pinot Noirs, Red Paw and Black Paw, both 2012 and named after the colour of the clay loam the grapes are grown on, won praise from many media and educator friends. Even their entry level white, off-dry Five Mile White 2012, probably dismissed by many critics even before tasting because of the blend—Riesling, Pinot Gris and Gewurztraminer—was surprisingly refreshing and pleasant. 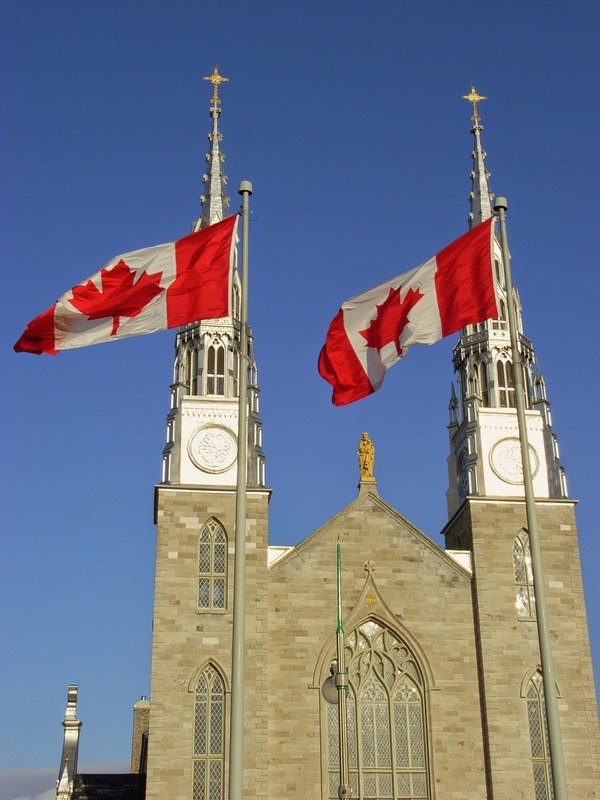 Canadian wine regions are all classified as cool climate but each is different. 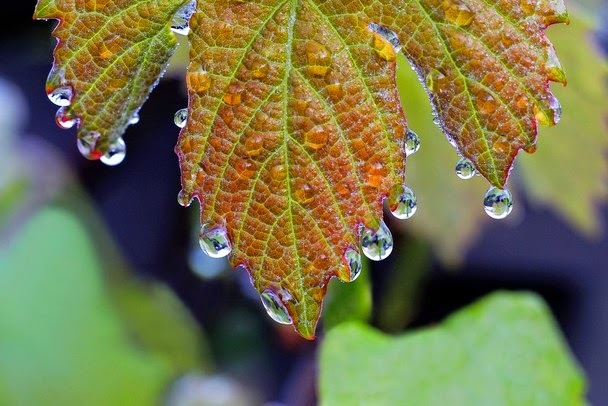 Climatically similar to Burgundy, Ontario in the east is the largest region, with vineyards spread east-west close to the shores of Lakes Ontario and Erie to benefit from the moderating effect of those large bodies of water. Ontario is followed by British Columbia in the west where vineyards mostly cluster along a north-south line in Okanagan Valley. This is a very dry area with summer daytime temperatures frequently reaching 35ºC to ripen the grapes and cool nights to retain the acidity. 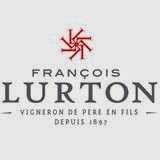 It is therefore not surprising to find red wines with close to 15% alcohol yet good balance with fresh acidity and elegant fruits. The two that stood out were Perseus Winery Invictus 2012 and Laughing Stock Vineyards Portfolio 2010, both Bordeaux style blends. 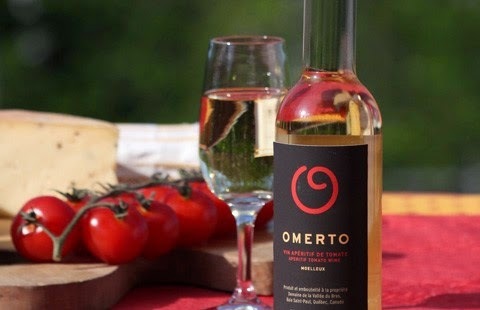 Another interesting find was Omerto tomato wine. Yes, it is fermented from tomatoes and there are two styles: Omerto Sec and Omerto Moelleux, both with 16% alcohol. They don’t taste like wine made from grapes but the Sec is particularly vibrant with citrus aroma, while the Moelleux has additional honey and marmalade scents. Apparently, Ormeto Moelleux won two food/wine pairing Bronze Awards at the latest Cathay Pacific Hong Kong International Wine & Spirit Competition, one with sashimi and the other with yakitori chicken. Check them out if you are curious. Omerto is also listed in the Spanish Restaurant, Fofo by el Willy via importer Nice Things. The only disappointment in this tasting was the paucity of Cabernet Franc, the grape that I believe Canada does best. 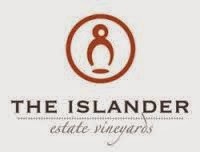 There were only 2½ of them—two 100% Cabernet Francs and one blend from four varieties featured. Asked for the reason, a few exhibitors actually said they were not sure about the wine. They thought consumers wouldn’t like it, that Syrah and Chardonnay were easier to sell, and so on ... but they themselves love it! Well, I say one should trust one’s own judgement. I think it’s time for Canadians to introduce to wine lovers some of the greatest Cabernet Francs in the world. 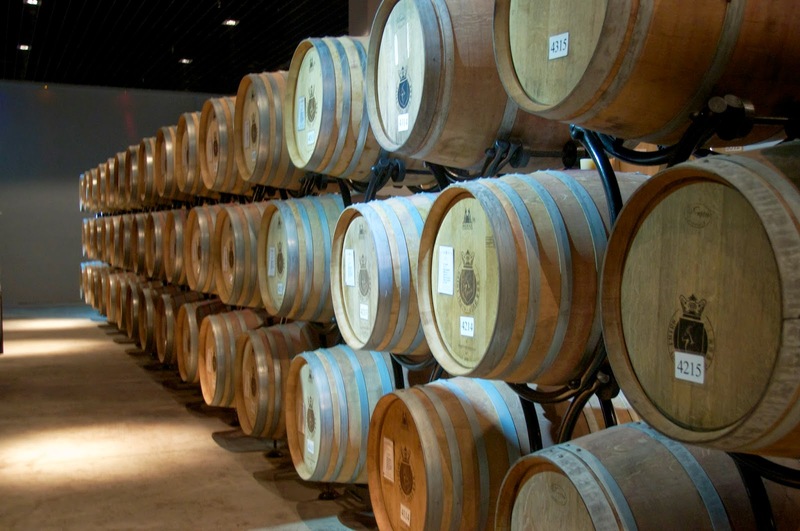 Many importers carry Canadian ice wines but I’m not aware of any Canadian still wine importers here apart from Cuvées, which has at least five Canadian wineries in its portfolio including Laughing Stock Vineyards. 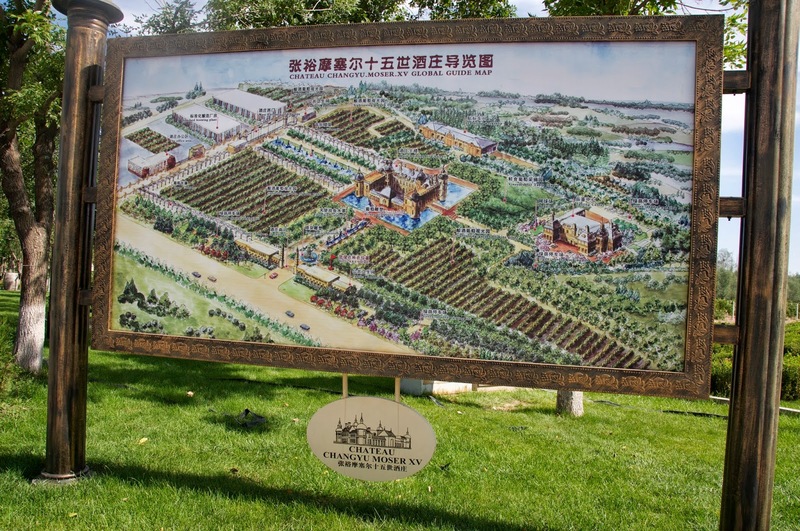 I’m trying to persuade Joseph Luk, the managing director, to bring some Cabernet Franc to us. Finally I had a chance to see Mt Etna, the biggest active volcano in Europe. 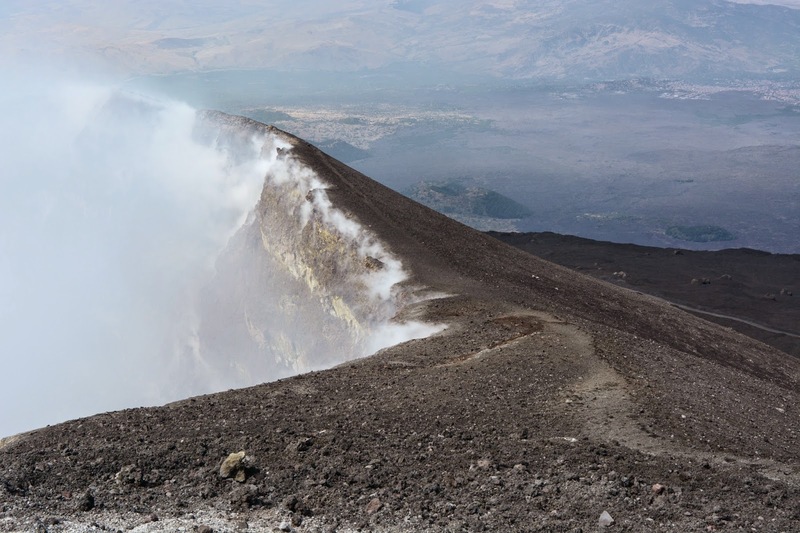 It was a private volcano hiking holiday but, being a wine addict, I managed to fit in three winery visits around Randazzo, a small town that makes a good base for exploring the northern side of Etna. The wines turned out to be as impressive as the mountain on which the grapes are grown. The Etna DOC, like other Sicilian wine regions, focused only on entry level and bulk wine in the early days. But luckily the region and its potential to make quality wine were rediscovered—not by Sicilians themselves but by outsiders. One of the pioneers was Marco de Grazia, renowned as the first person to export Barolo. 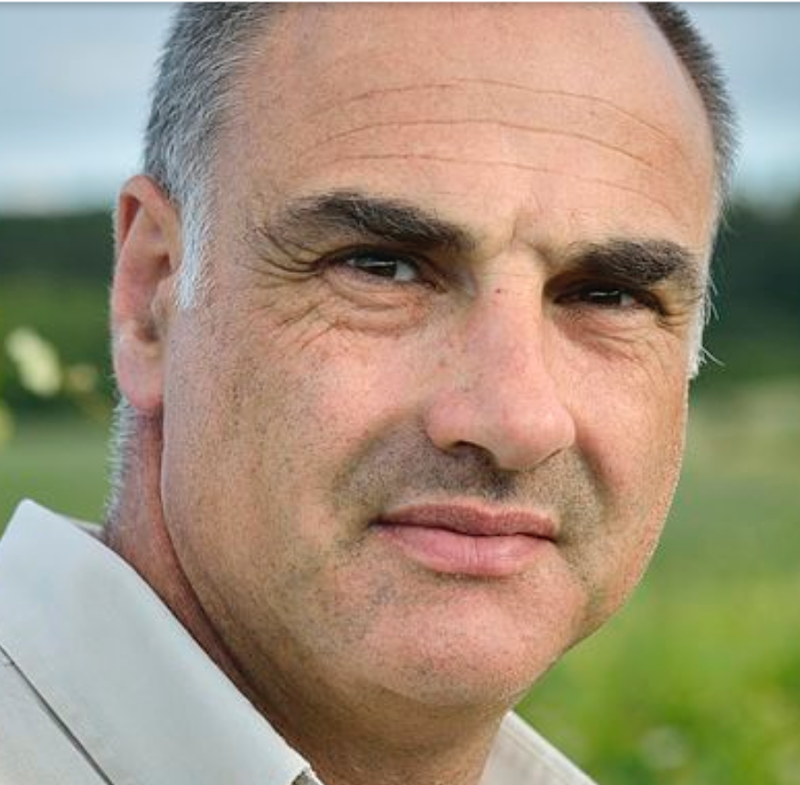 In 2002 he founded Tenuta delle Terre Nere on the slopes of Etna, and it has been making outstanding wine ever since. In addition to Tenuta delle Terre Nere, I also visited Tenuta di Fessina and Passopisciaro, both also owned by outsiders. 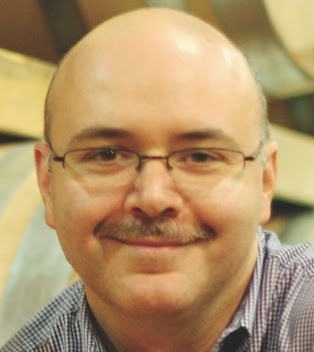 Tenuta di Fessina is owned by Tuscan winemaker Silvia Maestrelli and Federico Curtaz, while the owner of Passopisciaro is Andrea Franchetti from Rome (though his wife is from Sicily). I thought Sicilians might resent the invasion from the north so I was surprised when Letizia Patane, a native and the marketing person at Passopisciaro, assured me otherwise. She said Sicilians are actually grateful of the know-how, discipline and vision that these northerners brought with them. Judging by the quality of the wine, I agree; but I would also like to credit the Sicilians for being open and readily embracing the change, rather than being stubborn and parochial.... it takes two to tango! Yet outsider vision alone cannot make Etna’s wines outstanding. 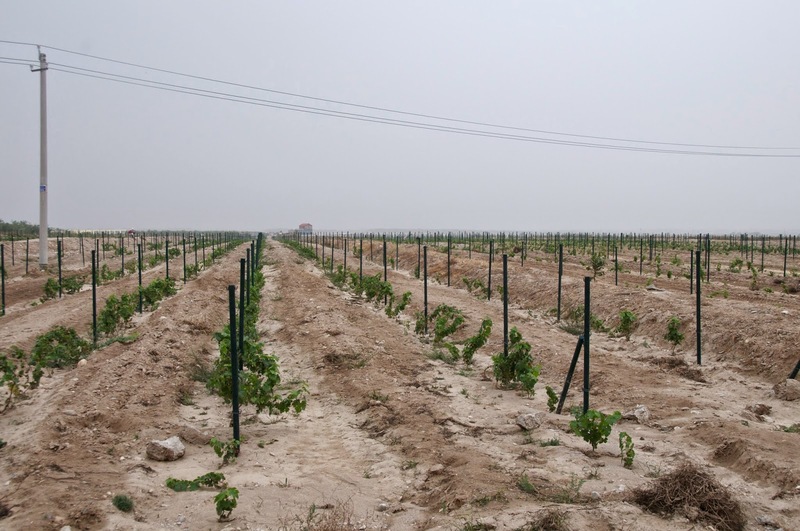 This DOC region is blessed with unique soil and an exceptional climate. The mineral rich black volcanic lava soil combines with the continental microclimate of the mountain–high diurnal temperature and low rainfall in summer—to give the wine freshness and elegance. There are also some very old vines, some even from the pre-phylloxera era, that contribute to the complexity. No wonder the wine is known as the Burgundy of the Mediterranean. 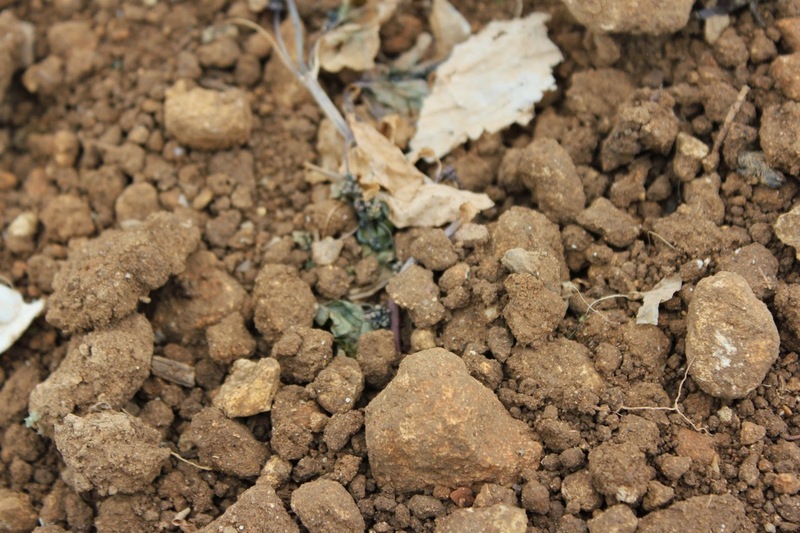 The lava soil, afternoon mist, pre-phylloxera vines - all contribute to the uniqueness of Etna wines. Then, last but not least, there are the indigenous grape varieties. Wine lovers may know Nero d’Avola and Grillo from Sicily, but Etna has its own grapes: the elegant Nerello Mascalese and the fleshier Nerello Cappuccio for reds, and the crisp Carricante for whites. 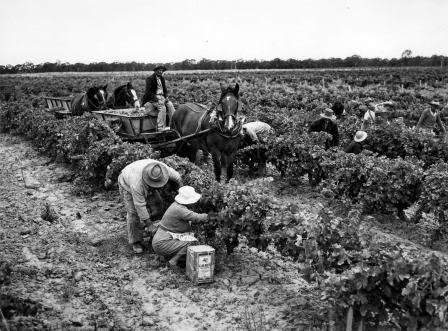 I love indigenous grapes because it is they that make a region unique. It is heartening to see that outsiders respect them rather than following the herd and making wines from international grapes. One point to note is that the Etna region is closely defined. It is on the slopes of the volcano so vines are grown at an altitude of 450m and upwards. 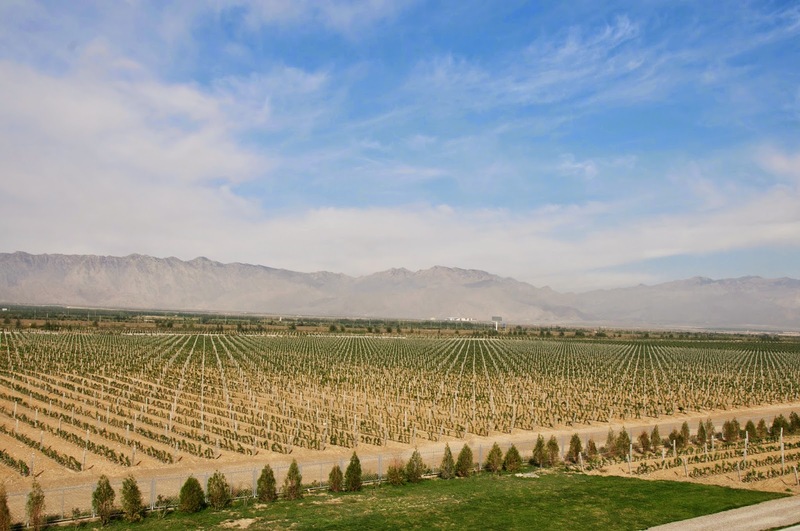 However, the DOC region only includes vines grown to a maximum altitude of 900m. 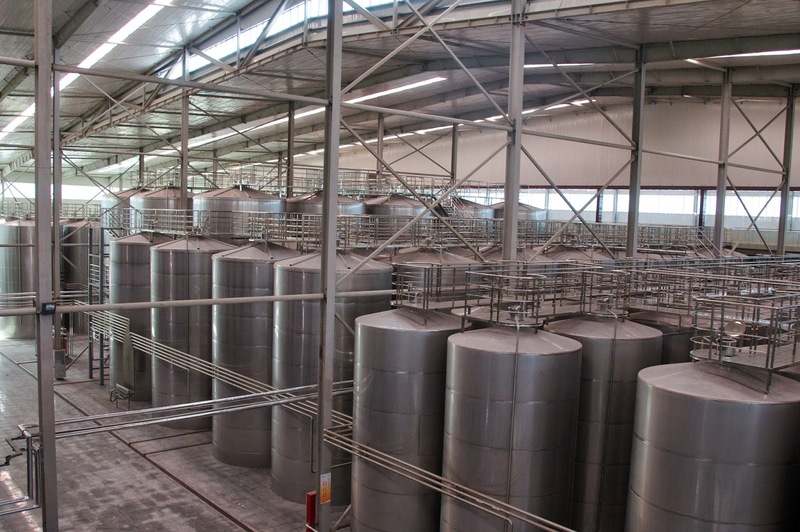 So wines made from vines grown above 900m can only be classified as IGT, rather than DOC. Asked about the reason, all wineries just shrugged and said it is the regulation. But please don’t dismiss Etna's IGT wines—they may well be from some very elegant Nerello Mascalese grown above 1,000m. What better way to end my Etna visit than a wine festival in the village of Passopisciaro? Compared to those in Chianti, it was very small scale with less than 20 wineries represented, but the atmosphere was fantastic. There was a mountain guides marching band and stalls selling ultra delicious barbecue sausages brushed with olive oil, the brush being a bunch of fresh herbs! Having climbed to the summit of Etna twice, literally eaten the volcanic soil (yes, I took a tumble down the slope and got a mouthful of lava), and tasted the mineral-rich wines, I would love to see more of them here in Hong Kong. Tenuta delle Terre Nere, Guardiola Etna Rosso DOC from barrel: Nerello Mascalese and Nerello Cappuccio from between 800 and 1,000m elevation. 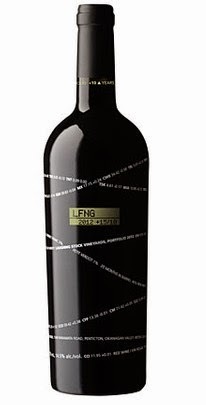 It has a tight tannin structure and concentrated black fruit and spice aromas, with definite ageing potential. 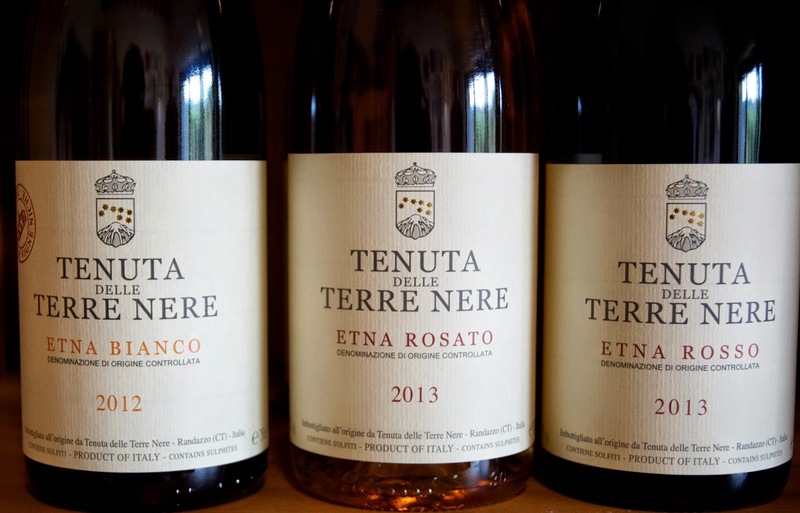 Tenuta delle Terre Nere is available from Wine Culture Ltd (Tel: +852 2810 1186). Passopisciaro: Letizia was very passionate and drove us around their various vineyard sites, called ‘contrada’, at different altitudes. 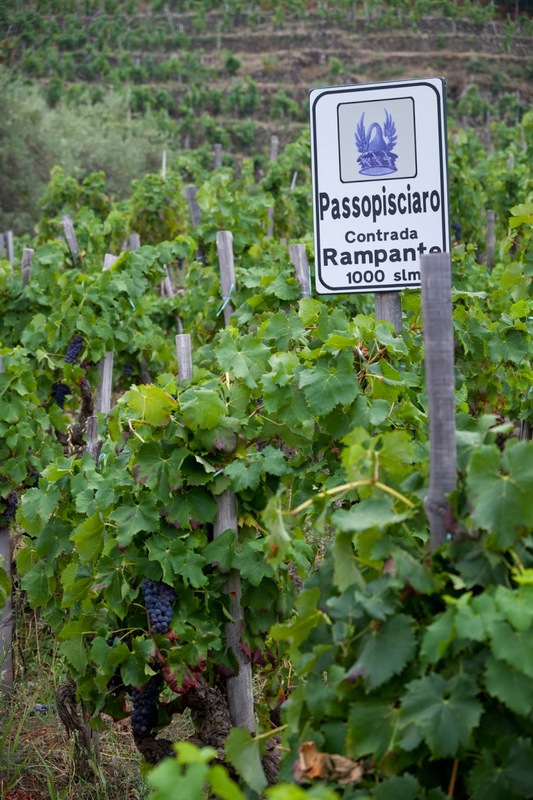 We tasted the 2012 of Passopisciaro, Contrada Rampante and Contrada Chiappemacine. All are 100% Nerello Mascalese. Passopisciaro is blended while the other two are single vineyard. Believe me, they are all quite different. 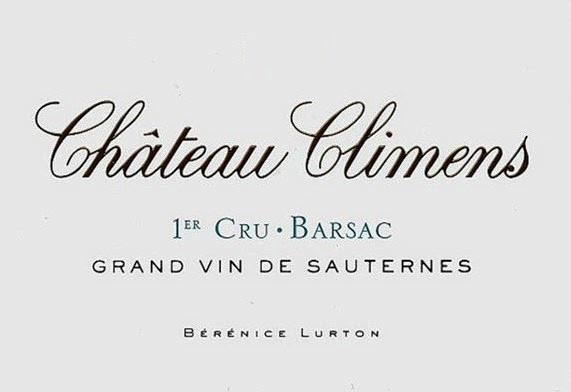 Chiappemacine is from 80 year old vines at 550m altitude and the wine is softer and more rounded with black fruit aromas, whereas Rampante, made from 100 years old vines at 1,000m, has more herbal notes and an elegant structure. Passopisciaro also makes Guardiola, a white from 100% Chardonnay. 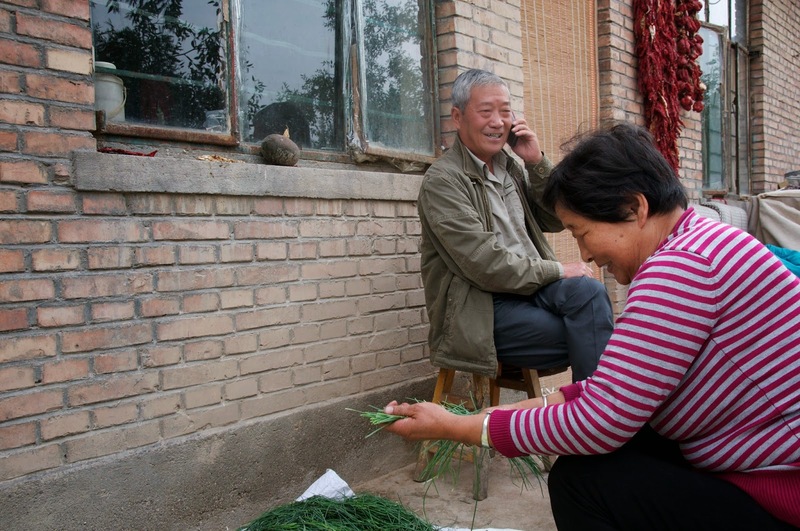 It is only a 4ha plot but there were more than 20 pickings to ensure optimum ripeness. Planted at 1,000m, it reminded me of the minerality and elegance of a Chablis. Passopisciaro is available from Corney & Barrow. 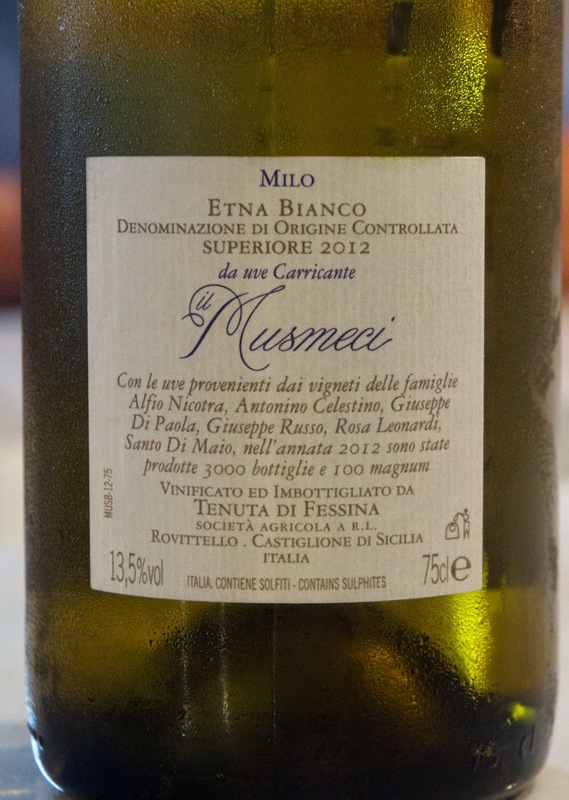 Tenuta di Fessina, Il Musmeci Etna Bianco Superiore DOC 2012: Made from 100% Carricante grapes, the wine has vibrant acidity with citrus, stone fruit and herbal notes. Nine months ageing in old barrels further adds complexity. Only 3,000 bottles were made.